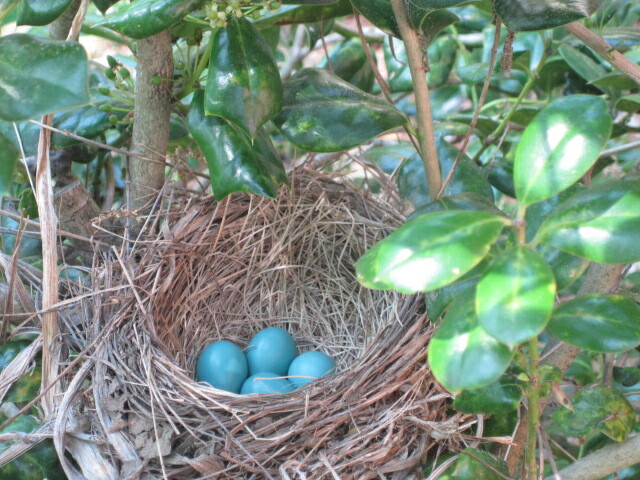 Yesterday was the fourth day since I discovered the robin resting on her four eggs. 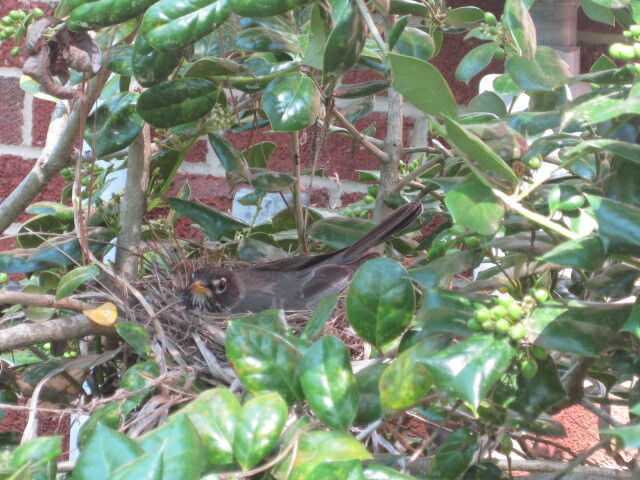 I was lucky enough to wander outside when mama robin was off her nest. I saw her in a nearby tree. I swear the eggs are getting bigger. Mama robin came back to the nest just a few minutes later. Here are some robin facts. 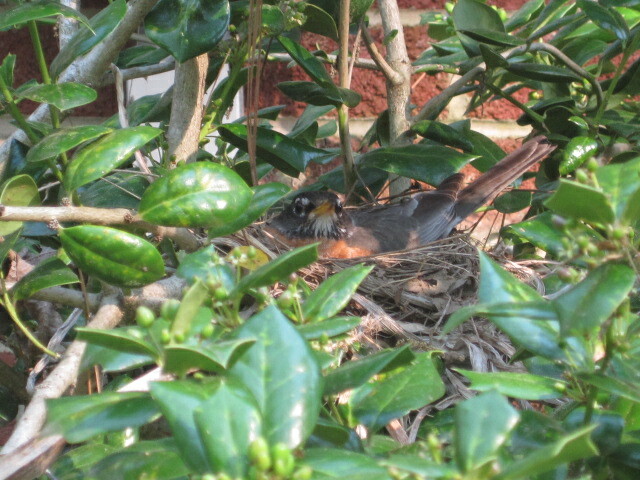 Robins’ most distinguishing feature, of course, is their orange chest feathers. Male and female robins are about the same size. They can be distinguished from each other by the color of their heads; females’ heads are dark grey and males’ heads are more black. If you’re interested, check out days one, two, and three of the robin and her nest. I love the eggs, so beautiful! I wonder if we have one in our yard! Finding the nest really has made me wonder what other miraculous things are going on in our yard that I’ve never noticed. It’s been a real treat to watch this robin and her eggs.